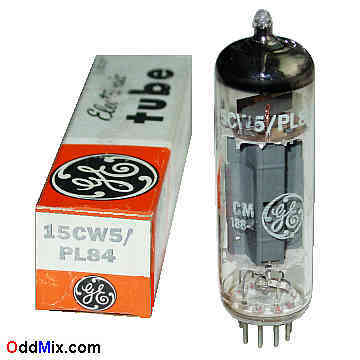 This is a genuine, original, GE 15PW5/PL84 Power Pentode radio electron tube. Developed for amplifier, oscillator and pulsed signal use in receivers and audio amplifiers. Excellent for replacement, antique radio, instrument, TV television restoration projects, experimentation, circuit research or to set up a private vacuum tube museum. It is NOS tube - New Old Stock, unused, boxed, excellent condition.